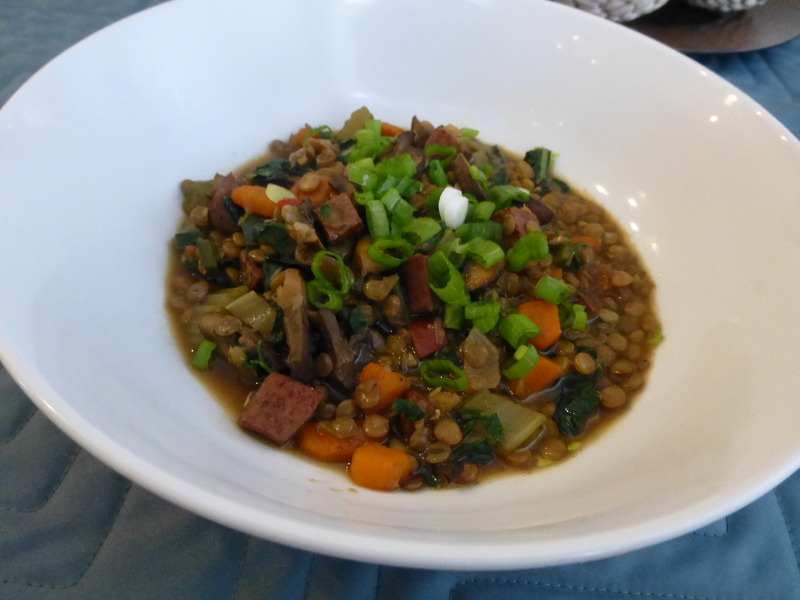 Last week I made a new recipe, lentils with middle eastern spices. There was a bunch left over. I took that leftover portion and added turkey sausage plus additional carrots and celery. Easy and tasty! This entry was posted in leftovers, Poultry, Vegetables and tagged carrots, Celery, lentils, Onions, Vegetables. Bookmark the permalink.